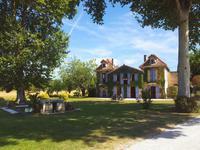 Grand family manor house, bags of room and possibilities, close to Libourne and Bordeaux, and to local amenities. This lovely, imposing stone house is situated close to the village centre, within walking . . .
Beautiful apartment of 125 m² in the heart of the Libourne bastide, 3 rooms in a stone building. Very rare in the heart of downtown Libourne, an apartment with mezzanine of over 120 m² with . . .
Near Libourne, beautiful stone house renovated on 5.6 ha of land with swimming pool. Beautiful stone house of 180 m² living space and 4 gîtes of 235 m². On 5,6ha of land . 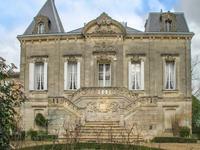 . .
Near Libourne, this Château will seduce you with its 600 m² living space, a gatehouse ( to . . .
19th Century little CHATEAU with separate cottage, set in lovely park with mature trees, near POMEROL vignes and all amenities of LIBOURNE. An elegant late 19th century CHATEAU of cutted limestone surrounded by centuries old trees on . . . Very large house with room in the loft to make it even bigger! 4 large bedrooms, 3 . . .